Sue Parritt’s Pia and the Skyman is the second in her Climate Fiction trilogy, following on from Sannah and the Pilgrim, which I reviewed last year. Lies, deceit, betrayal and tragedy along with a healthy dose of passion carry the narrative along in what turns out to be a remarkably engaging read. 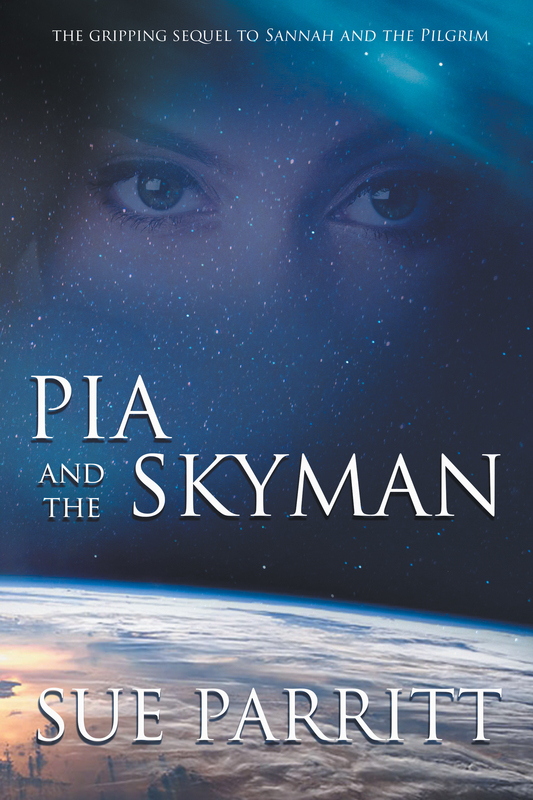 Pia and the Skyman is a thoughtful, carefully considered work. Parritt’s writing is assured, confident and commanding, a steady pace maintained, the use of passive voice creating an emotional detachment befitting the stark conditions of a climate changed dystopia. “Desert desert go away…let us live another day,” the children in the playground chant. Parritt is adept at creating an edge-of-survival atmosphere without recourse to over dramatisation. Her setting is vividly real, painted with a simple palette, and fine craftsmanship and attention to detail. Her characters are deftly portrayed and immediately recognisable. The scenario Parritt depicts is not far removed from our own current reality, the story a metaphor for our times, and a logical extrapolations of successive Australian governments’ commitment to off-shore detention of asylum seekers in gulags. Environmental refugees are among us now. How many more will there be if we don’t amend our ludicrous dependence on fossil fuels? Pia conveys values of compassion and goodwill. She acts, decisively and sometimes impulsively, exemplifying the determination and resilience of all the women who sacrifice their own safety for the sake of others in the Women’s Line – a powerful symbol of cooperation, collaboration and resistance founded on principles of solidarity and trust found amongst women in all situations of oppression and hardship the world over. Through Pia and the Skyman Sue Parritt makes an important statement about the myopia that seems to have befallen our political leaders, especially in Australia. Humanity will be faced with harsh choices if environmental conditions become as brutal as they are in Parritt’s reality. As well they might. And I very much doubt humanity would have the capacity to respond all that differently to that of Parritt’s Apartheid Australia. On the whole we seem incapable of transcending our own selfish, divisive and hate fuelled beliefs. We’ll need a lot of goodwill and far-sightedness to avoid the scenario contained in this trilogy. Sue Parritt might as well be a soothsayer.